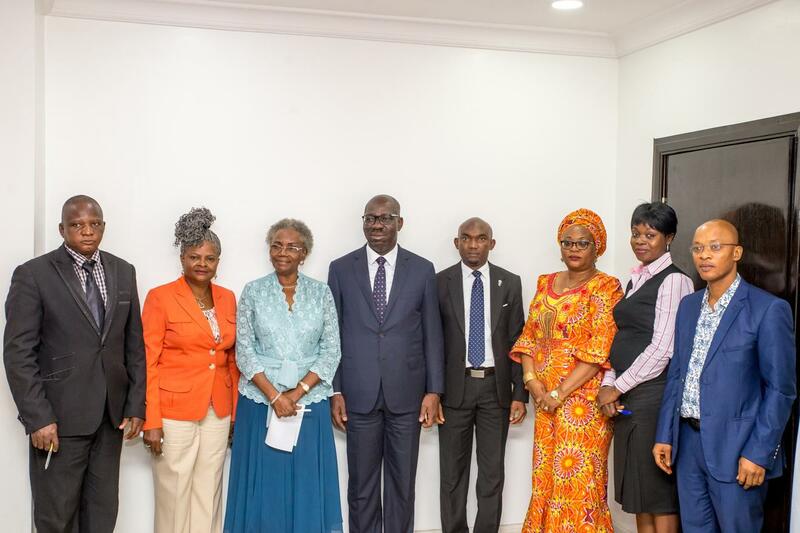 Governor Godwin Obaseki of Edo State has followed up on his promise to revivify Edo State’s Library system by inaugurating the State Library Joint Revival Implementation Committee on Tuesday, and mandating the members to reposition reading culture and library services. Tasking the committee members at the Edo State Government House in Benin City, where he also inaugurated the committee, the governor reiterated that his administration was poised to revamp public libraries and key into e-library services, which was the contemporary international standard. He said: I pledged to set up a committee to work on the revamping and remodelling our public libraries. I was displeased with the dilapidated facilities at the state library when I visited it and I decided to task the best brains with carrying out this job,” he said. The governor also listed the committee’s terms of reference, including reviving the state of public libraries in the state, recommending ways of reviving reading culture among students and youths, and suggesting possible public private partnerships and initiatives in the library sector. Others, he continued, are maintaining library infrastructures across the state, suggesting the best ways of archiving government books, documents and historical materials, considering e-learning opportunities in the library sector and helping to establish and manage a public library in the state’s government house. On the management of the committee, Governor Obaseki disclosed that the Chief of Staff, Mr Taiwo Akerele, would coordinate it, while the members would submit a report on the terms of reference within a four-week period. For her part, the committee head, Mrs Grace Sanni, who is also the librarian of Benson Idahosa University, commended the governor for his interest in upgrading the state’s library to world standards, noting that constituting the committee was a step in the right direction. She said members would adhere to the terms of reference given to them adding that a good library would facilitate an informed society, which would also promote development.